Come dressed in your favorite Halloween costume and race through JMU's beautiful east campus. 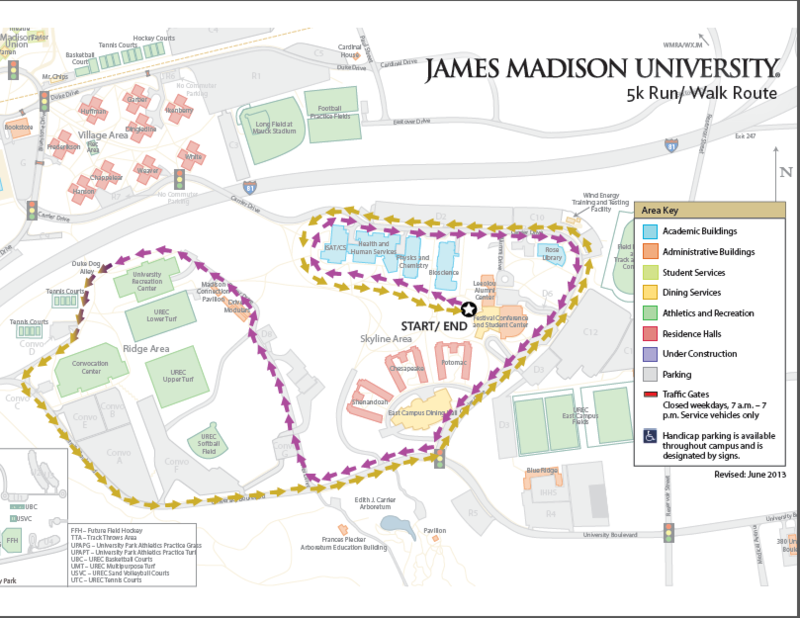 This race is put on by the Club Cross country and Track team at JMU. Candy will be given out to all finishers, t-shirts will be given out to registered runners by 10/30. Bibs will be given out at the event. Awards will be given to top 3 runners in each age division and 3 awards for best costume. Everyone is welcome and we hope this 5k helps bring the Halloween to spirit to Harrisonburg.